SplashWorks Pools & Outdoor is a custom in-ground swimming pool builder serving the greater Houston area. We are far more than just your average swimming pool construction company. 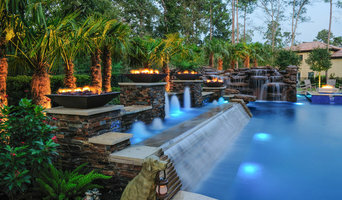 From designing and constructing luxury pool and spas to outdoor kitchens, fire pits, pergolas and more. SplashWorks Pools & Outdoor is the solution to making your backyard dream a reality. With experience in the pool industry for over 15 years, we take pride in the knowledge we can provide. Our goal is to make sure that the whole process is positive and enjoyable so you can be stress free. As a company dedicated to quality service and customer satisfaction, we can assure you that we will devote our time until construction is complete. Whether you are looking for a simple, budget-conscious pool or an exotic backyard paradise, there is no job too small or too large for a good measure of SplashWorks Pools & Outdoor excellence. We believe no dream is too small or too ambitious for your backyard. You will work one-on-one with our expert pool designer. Our designer will learn about your vision, backyard space, budget, and timeline. Then, we will create a unique plan to make your dream a reality. Our success to our custom pool designs can be measured by your family’s smiling faces and client referrals. Our crew has been building pools over the past 30 years in the greater Houston area and will treat your project as though it were for their own backyard. 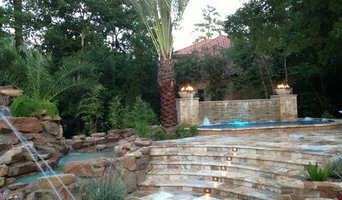 All About Pools is the premier swimming pool construction, maintenance and repair company in the Houston area. We proudly serve Houston and surrounding areas. We have a combined experience of over 20 years in the pool industry. We offer state of the art 3D design using Pool Studio software and we offer full service repair and maintenance for all types of pool equipment. All About Pools was built on the premise of honesty, integrity and fair pricing. Other companies may offer similar services, but our's are the best, and come with a personal touch. Give us a call anytime even just to chat.